Alot of great advice there, I use Howes all year long, not only for the anti gel but for fuel lubrication also. These 7.3 engines were made long before ULSD was out and not designed to run on it, like the newer fuel systems. Sounds good, I kinda had a bad taste in my mouth about Howes, I had it turn to slush in the jug. Never used it since then. But I do agree the fuel system could stand some lube. I use whatever is handy in the big truck, used motor oil, ATF, hyd oil, it doesn't care. But I didn't figure the dump it in the tank and find out method was too smart with electric injectors. Just as a FYI just about all anti-gel products will turn to slush or freeze until you get them into the fuel. If you look on the bottle it will tell you to protect from freezing. I hadn't noticed that on the Howes bottle, just quit messing with it, perhaps I'll have to give it a second chance. My Power Service in the white bottle rides in my headache rack and has never frozen, so I just stuck with it. Haven't done too much research on other products so that is really helpful information. I did use some of the red bottle Diesel 911 on a road grader this year with some success, but that's the extent of my experience with it. The Howes experience was years ago, but I thawed the slushy bottles, and heated the fuel tank with a weed burner, then added and mixed, a few hours later the fuel was getting lumpy again. But it may have been bad fuel, no real way to know now. Thanks guys, as heavydoc said, a lot of good advice here! I live in Phx and have been considering removing my fuel heater from the bowl as well. 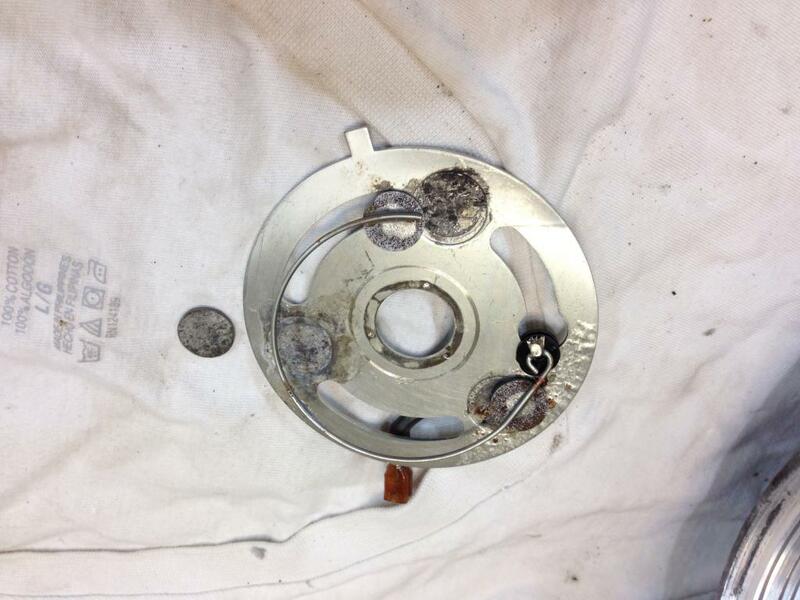 If we decide to remove them completely, do you need to seal up the electrical connector inside the furl bowl? Or is it as simple as removing it and tossing it in the trash? If it is unplugged I would just leave it alone. But if you really want to remove it completely you just remove the heater itself. The thermister is what goes through the wall of the filter housing and you just leave that in place. There is a spade type connector on the outside of the filter housing. If you noticed where the wire was connected on the inside it is just outside of that connection. I believe it was JCart that mentioned also, it's a good idea to protect/secure the end of that outside wire so it can't short out.